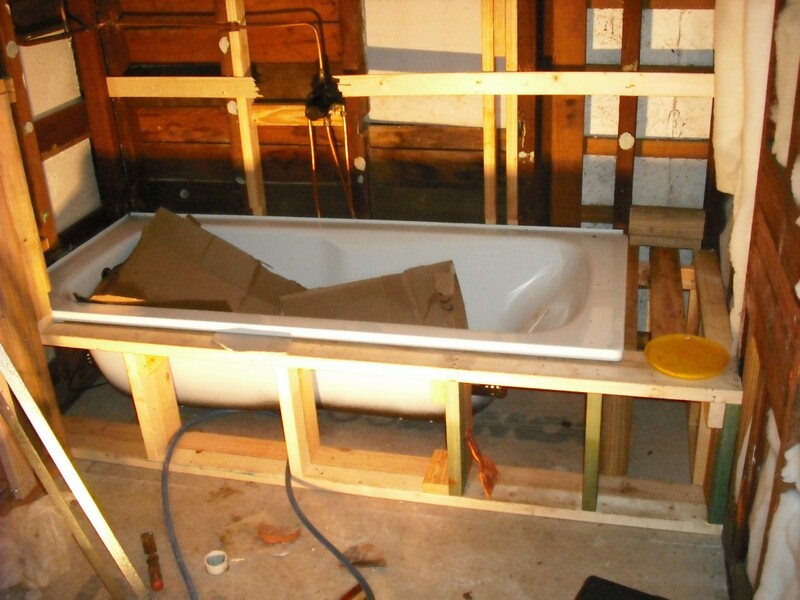 The clients wanted to create a bathroom that appeared to look bigger than it was. We talked about options and a plan on grid paper was used to work out the sizes of the bathroom fixtures. On the end they formulated a plan and now needed me to make the dream into reality. 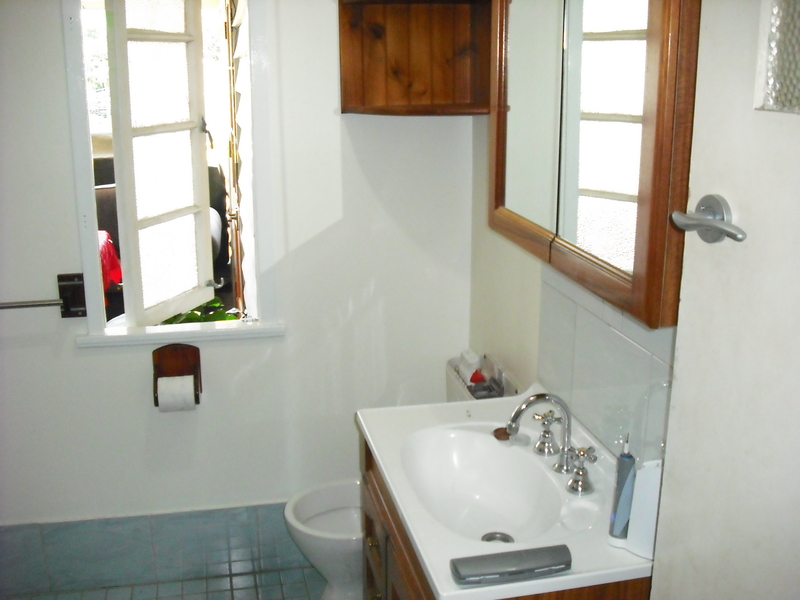 The tiles were to have natural colours, the window was to be closed in and a new one installed. 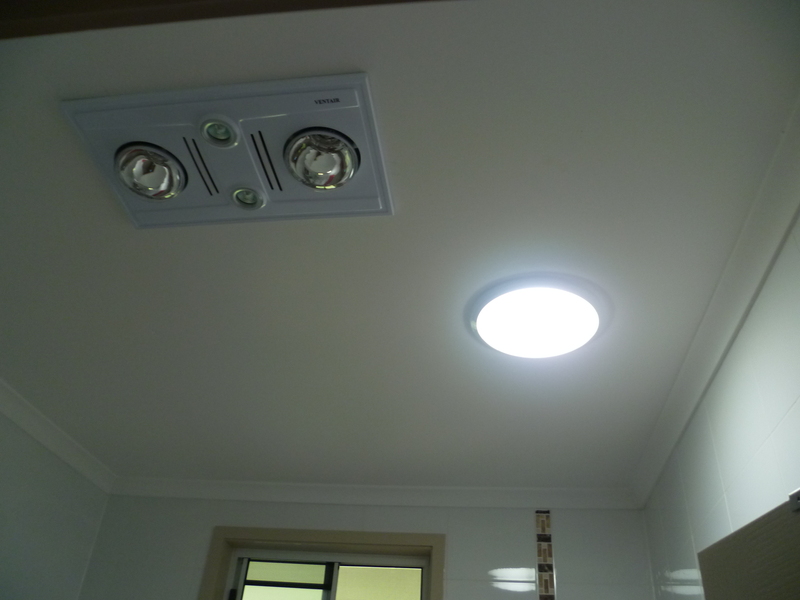 Also a sky light was to be installed for extra light and efficiency. Below are the photos of how it looked. We started pulling out the sheeting. As it was asbestos we had to safely work with the material. 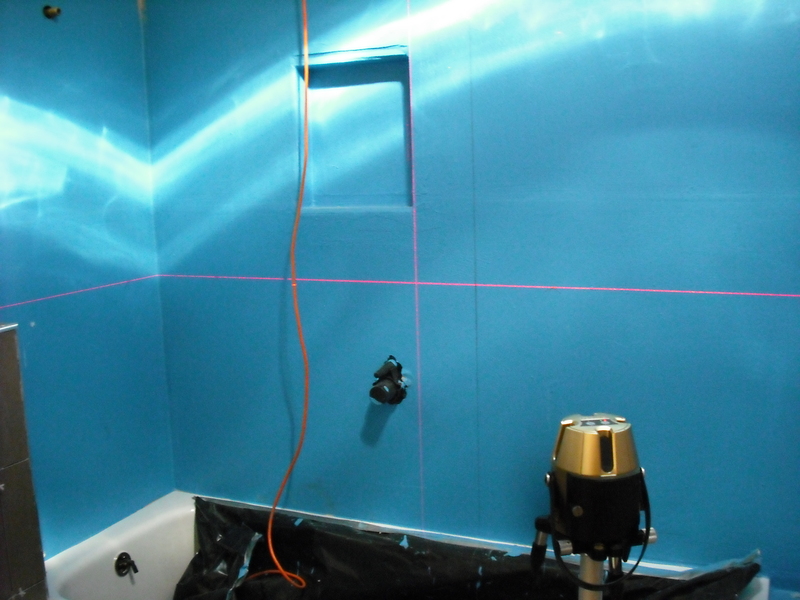 Once that was complete we did a set out of the area and checked the squareness and plumb of the room. Tip It is a good Idea to check out the house stumps if it’s a timber house. 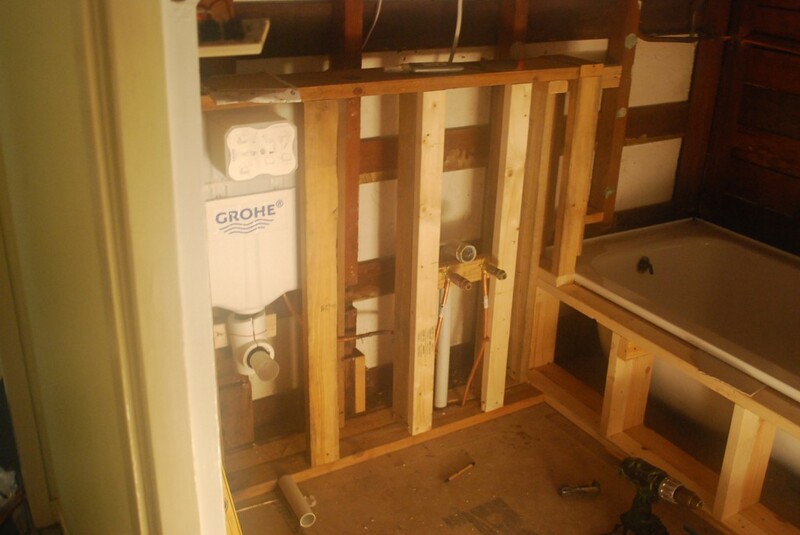 The reason for this is that when you redo the old bathroom you usually alter the load bearing pressure. A few hundred kilograms can be added if you go floor to ceiling tiles. 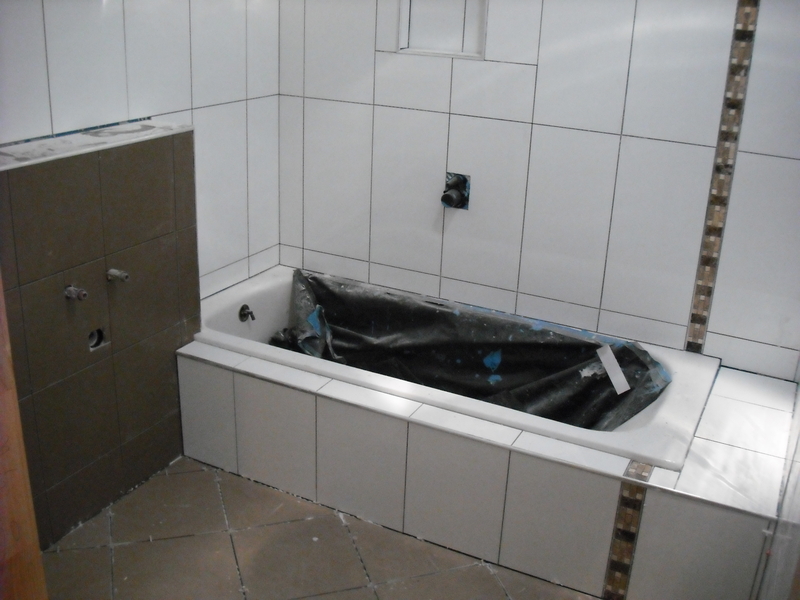 Below you will see the following stages which are:- framing, electrical, plumbing, tile waterproofing, laser set out for tiles and tiling. 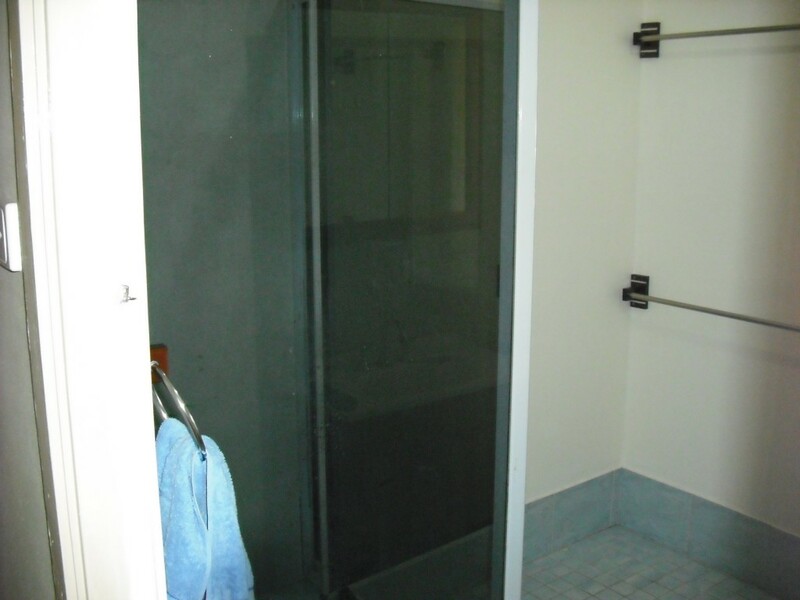 The bathroom looked inviting because of the extra light being eminated from the skylight. The window relocation also gave the occupants of the room privacy. 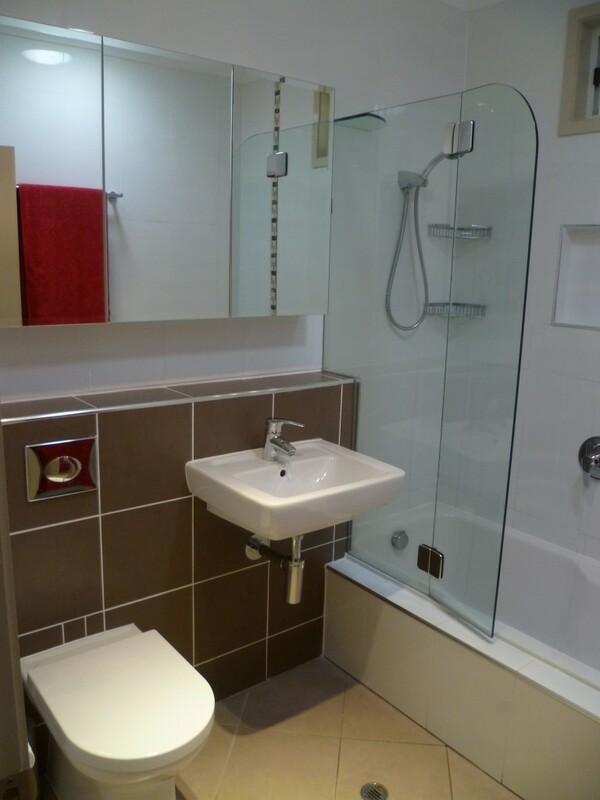 The toilet cistern built into the cavity of the walls and the mirror cupboard replicating the hob wall gives it a good look while creating extra space.